A member of the Rock and Roll Hall of Fame since 1994, and hailed by Rolling Stone as one of the 100 Greatest Voices of All Time, Burdon’s music has forged new territory while also topping the charts for more than five decades. Highly prolific, Burdon has released nearly 50 records in those 50 years, as front man of The Animals and WAR and simply as Eric Burdon. Through the changing sounds and genres, what remains constant is his courage as an artist to explore new sounds, diving into new territory with his unrivaled and unique voice. 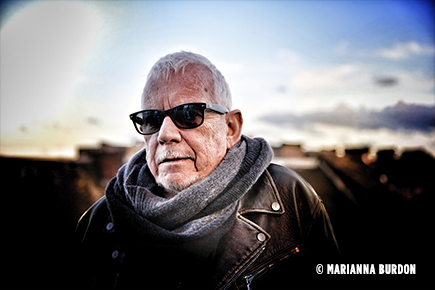 Eric Burdon has shared the stage with legends such as Chuck Berry, Jimi Hendrix, Jimmy Witherspoon, Otis Redding and Bruce Springsteen, and has recently been cited by cutting edge musicians like Patti Smith and Iggy Pop as one of their personal top ten musicians. In the decades to follow, Burdon became an accomplished painter and author, and he continues to record and tour now as a solo artist. The year 2012 saw the release of his latest album, ‘Til Your River Runs Dry. Tickets are $50 or $45 plus tax and an online/phone ticketing fee (this fee is waived when tickets are purchased in the Gift Shop). Tickets in the ADA section are for patrons with mobility disabilities.